ANY hopes that the pair of Felton Kamambo and Gift Banda had of appealing and overturning their disqualification from the ZIFA election were dashed yesterday, with the association ruling that their long-term bans remained in force. 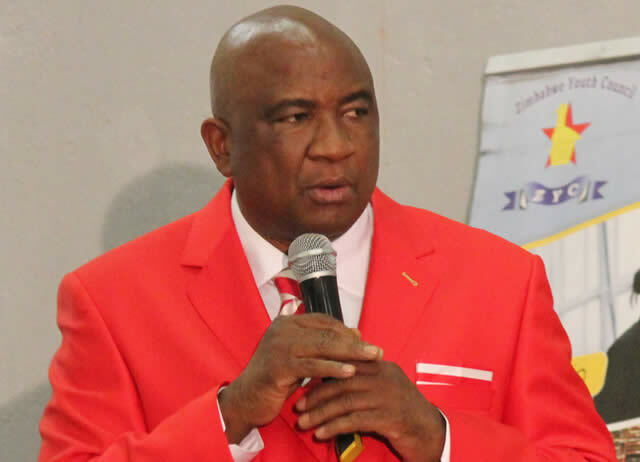 Aspiring ZIFA presidential candidate Kamambo and Banda, who was eyeing the vice president's position were last Friday disqualified together with Mlungisi Moyo, who was targeting a position on the board. The ZIFA Electoral Committee disqualified the trio on the basis they had not satisfied the integrity tests, with their previous bans retuning to haunt them. Kamambo and Banda have launched spirited fights to have their candidature reinstated in time for the December 1 that will usher in a new executive committee to administer Zimbabwean football. The pair's failure to make the final list of candidates that was announced by electoral committee chairman Vusilizwe Vuma, meant that incumbents Philip Chiyangwa and Omega Sibanda will remain president and vice president respectively. Just like Kamambo before him at the weekend, Banda vowed to fight to the end to appeal against his disqualification on the basis of his ban against match-fixing in 2013. Banda yesterday wrote to ZIFA chief executive Joseph Mamutse, notifying him of his intention to appeal. "Re: Notice of appeal against the disqualification of my candidature for ZIFA board vice presidency by ZIFA Electoral Committee on 2nd November 2018. "I hereby write your office, following the disqualification by the ZIFA Electoral Committee on 2nd November 2018 of my ZIFA board vice presidency candidature disqualification, to give notice of my appeal against the disqualification. "My notice of appeal against the purported disqualification from the ZIFA board elections is premised on the heads of argument, which shall be made available to your office upon receipt of the following information in line with pre-conditions for a fair and just hearing; Amount of appeal fee payable. Bank account number into which the amount will be paid. Proof of payment shall be attached to the heads of argument. Date for the hearing. Venue for the hearing. Time for the hearing. Names and positions of members of the ZIFA Electoral Committee. Copy of ZIFA Electoral code. Copy of ZIFA constitution. Copy of ZIFA rules and regulations. Copy of FIFA Statutes. Copy of FIFA electoral code. Copy of FIFA code of ethics. Copy of minutes and register of the ZIFA Electoral Committee meeting of 2nd November 2018. Copy of the list of the ZIFA Electoral Committee stating names and positions. Copy of ZIFA Electoral Committee ruling confirming my disqualification on 2nd November 2018 Copy of the ZIFA Electoral Committee media statement of 2nd November 2018. Copy of the ZIFA congress electoral college. Copy of members of ZIFA congress eligible to nominate candidates for the ZIFA board elections. Copy of the ZIFA congress AGM minutes of February 2018. Copy of the ZIFA congress EGM minutes of 5th December 2015 Copy of the list of ZIFA Electoral Committee members for period 2014 to 2017. Copy of the current ZIFA board members. Copy of the physical address for ZIFA head office Yours sincerely. Mr Gift Banda Aspiring candidate for position of ZIFA board vice-president. 2018. Cc. FIFA secretary general. But ZIFA president Philip Chiyangwa hit back and insisted that while Kamambo and Banda could appeal against some of the reasons for their disqualification, their bans from football activities could only be lifted by the executive or the congress, which parties had not done so. Chiyangwa accused the pair of insisting on obtaining nomination forms: "When they knew they were ineligible from the onset. Kamambo knew very well that he had a three-year suspension that effected in April, but still proceeded to force to enter the race. "Such a ban can only be reviewed and reversed by the executive and the congress. I am quite sure he knows that in between congress meetings, the executive makes the decision. "It is the same story with Banda. He has not been cleared of Centralgate match-fixing ban, which is a serious offence in football and I think both of them are trying to seek attention, but we are not going to allow our systems to be clogged by people who do not fully understand the rules. "In fact these two need to deal with their bans, get their lawyers to follow through with their appeals. "The nature of the allegations they are facing are serious and cannot be dealt with by a sub-committee as they were effected by the executive committee. The only place where a decision made by the executive can be reviewed is the congress or the Court of Arbitration,'' Chiyangwa said. The ZIFA boss said his association have always been serious about bans and suspensions and could not suddenly lift them for any individuals without due process and through the right channels. "Bans are bans and they remain in force. We cannot just waste people's time through characters who are trying to cause drama. "As an executive committee, we act between congresses and we acted and took a decision,'' Chiyangwa said. Chiyangwa said the integrity checks on the aspiring board candidates were necessary to protect the game and in line with the wishes and expectations of FIFA. It was not immediately clear by last night whether Moyo should also challenge his disqualification that has left a field of six for the four slots for board members. That list of six includes ZIFA finance guru Philemon Machana, media practitioner Barry Manandi, public relations executive Sugar Chagonda, businessman Chamu Chiwanza, Stanley Chapeta, and ex-referee Brighton Malandule.